You’ve heard that “You can’t keep a good man down.” We’d like to add that you can’t make a good woman sit still. 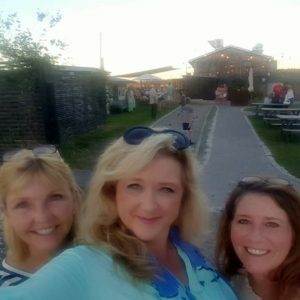 The Picky Peaches have been on the go again, checking out more yummy places to eat and fun things to do for the 8th installment in the brand-new, Peaches on the Road Series. This time, we headed to one of the most beautiful and most popular tourist destinations in the U.S.A., Savannah, Georgia. Whoa! Wait! Before you start thinking, “been there, done that”, we want to assure you this wasn’t “yo’ momma’s Savannah trip”. No Paula Deen. No Mrs. Wilkes’ Dining Room. No Pirates’ House. Those are all fine establishments, but we wanted something different. 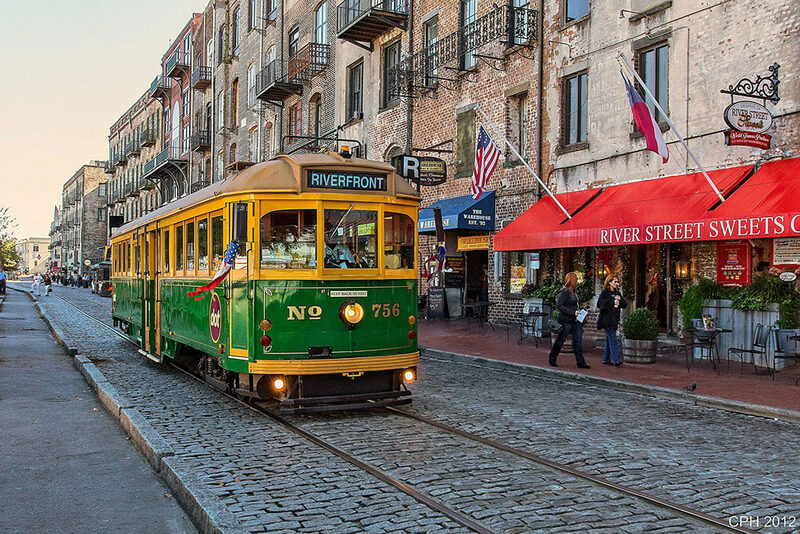 Join us as we visit the “new” Savannah while still enjoying the charm of the old, historic Savannah. 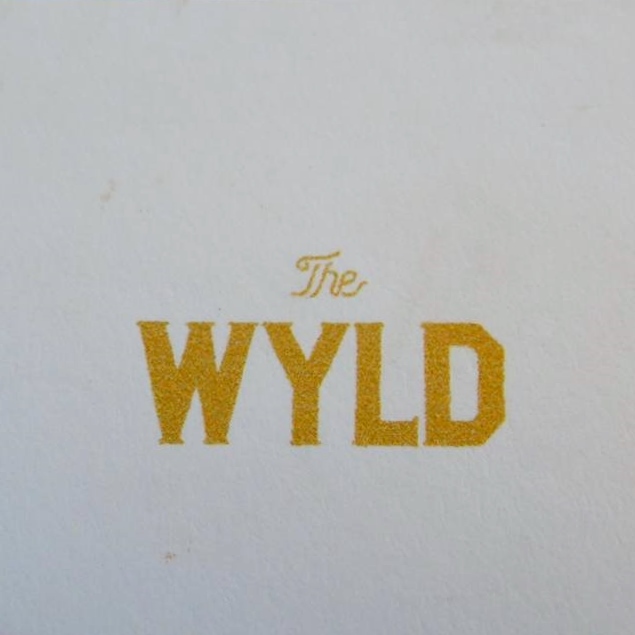 Our first stop is The Wyld. Its setting, atmosphere and food are Instagram-worthy. Plus, the food and drinks taste as good as they look. 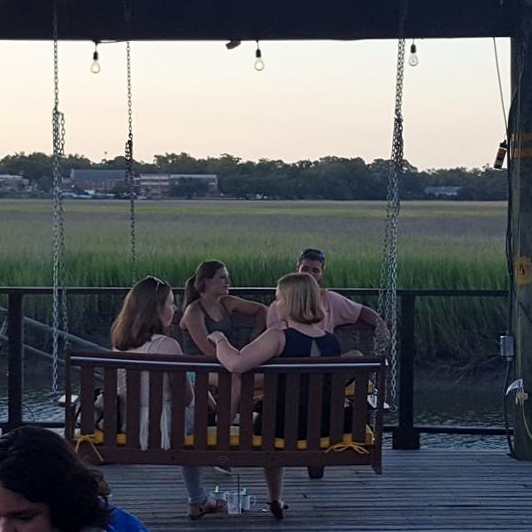 Based on feedback from the first Peaches on the Road Series, we’re going to give you an itinerary for your visit to Savannah so that you’ll be able to copy our trip as closely as possible, or just choose the things that look appealing to you. We arrived mid-afternoon on Friday and left mid-afternoon on Sunday. Whether you go for a weekend, or just a few hours on your way along I-95, this grand, old city truly has something for everyone. 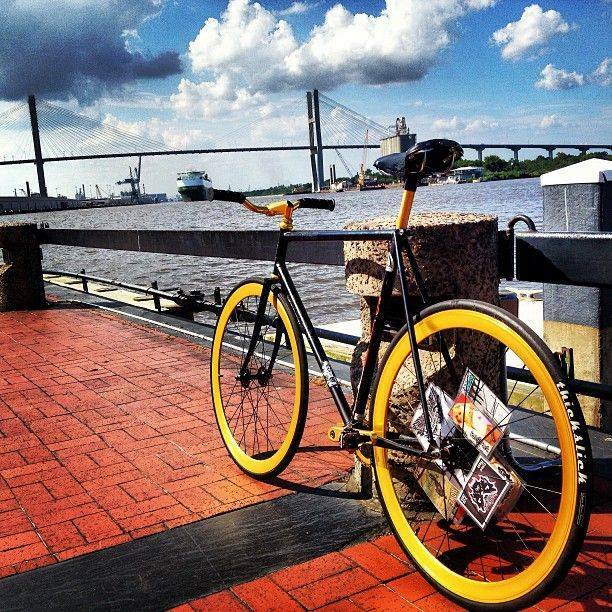 Established in 1733, by General James E. Oglethorpe, Savannah sits at the mouth of the Savannah River on the Atlantic Coast near the Georgia-South Carolina border. 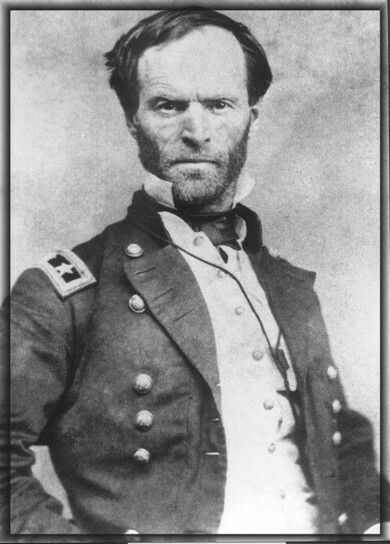 It became a major port for cotton shipment, and during the Civil War, the city was the prime objective of General William T. Sherman’s March to the Sea. To save their beloved city from destruction Savannah authorities surrendered on December 21, 1864 and General Sherman presented it to President Abraham Lincoln as a Christmas gift!! Were they out of cigars? Neckties? Seriously though, we are so thankful that Savannah was saved. The jaw-dropping mansions, and Spanish moss draped trees surrounding the shady squares with their gurgling fountains are just part of Savannah’s allure. There are charming antique shops, trendy boutiques, souvenir shops, candy stores, interesting tours and fabulous restaurants. So pack your comfy walking shoes and prepare to have fun! Friday Afternoon. Check into your hotel. Either head straight into the historic district to look around or stay at the hotel to unwind after the long drive. Friday Evening. 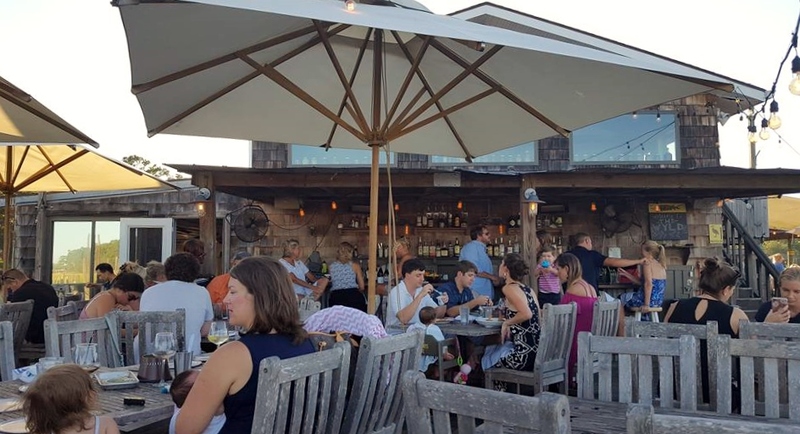 Head to The Wyld for a relaxing, casual, outdoor dinner. You’ll definitely need to use a GPS or Waze to find it. 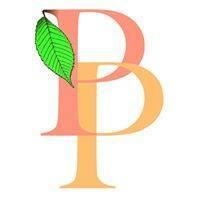 It will take you through a residential area and then you’ll see a clearing and a rustic sign. The pavement will end as you enter the narrow, gravel parking lot. We suggest that you back into a parking space, if at all possible. It will make getting out of the lot so much easier. If you arrive by boat, the parking seems to be a bit simpler. 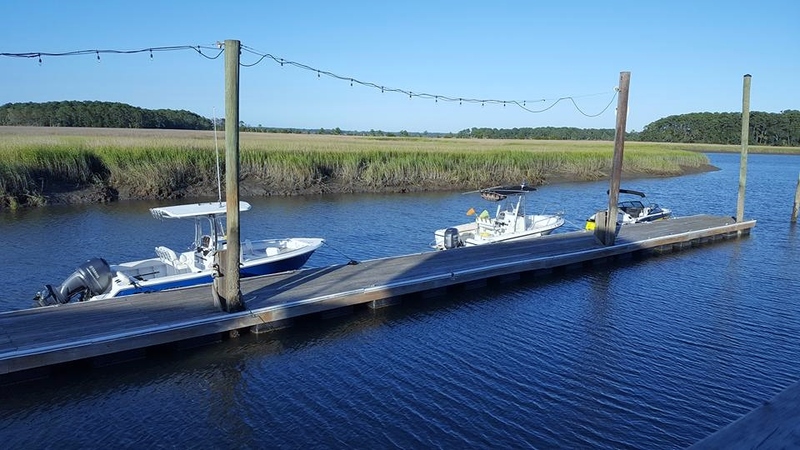 We’re not kidding, there’s dock parking for those who arrive by boat. If you don’t want to wait for a table, get there before 7 p.m. If you can’t make it that early, or you just like to eat later, no worries. There are plenty of activities designed to make your wait more enjoyable. 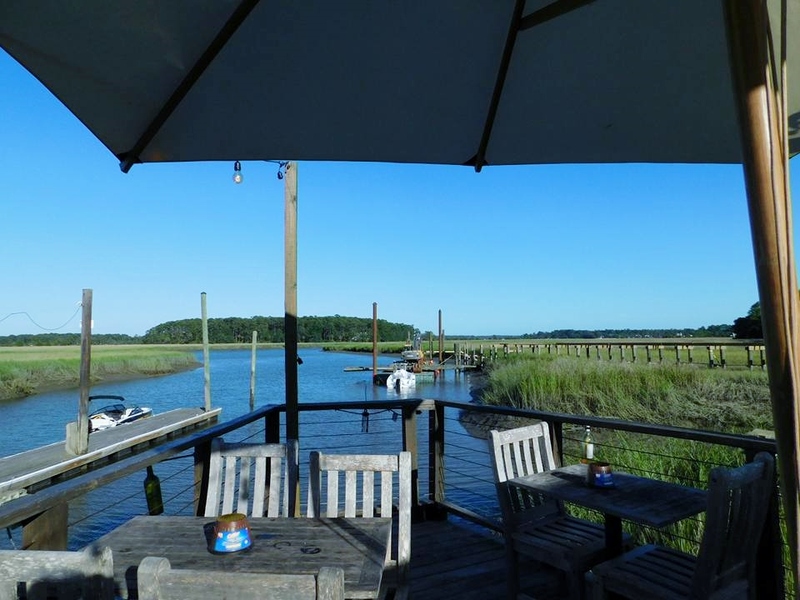 As you approach the restaurant, you’ll notice that it’s situated on docks built over the picturesque marsh. Then you’ll begin to feel the fun, relaxing vibe oozing from the property. Bocce ball, darts, hammock, porch-type swings, fire pit and live music are all designed for relaxing and socializing. The Wyld is situated on an off shoot of the Herb River in the marshes with an almost triangular dining pier jutting into the water. We were fortunate enough to be seated almost at the point of the pier. Even though it could easily have been a humid, muggy July night in Savannah, it was shockingly pleasant with occasional breezes off the water. Well-positioned fans blowing throughout the outdoor dining area helped keep the no see-ums away. Overhead string lights, umbrellas and an outdoor bar area added to the ambiance. The menu is as fresh and creative as the atmosphere with an emphasis on fresh seafood. If you have to wait for a table, go ahead and order a cocktail from their extensive list. 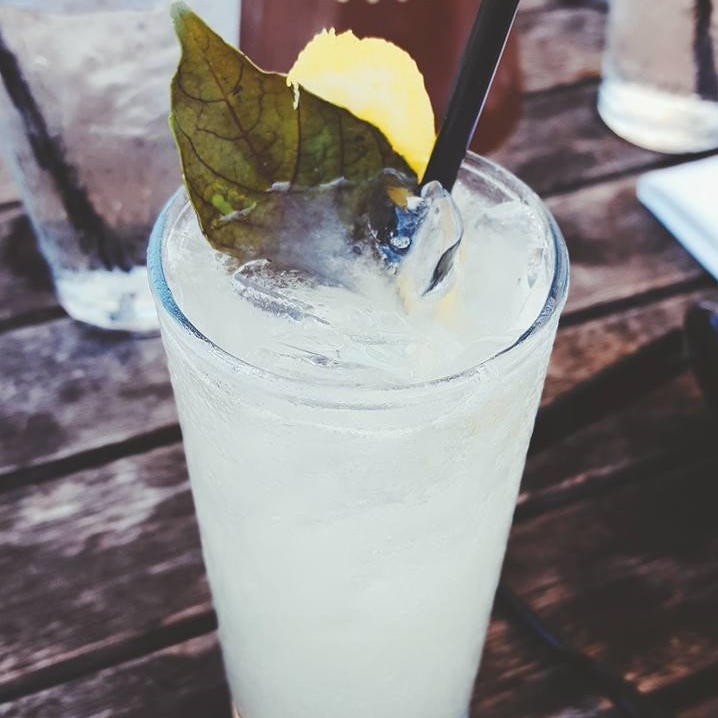 The Gin Basil Smash is made with gin, lemon, fresh basil and sugar. It’s light and refreshing. You could call it adult lemonade. Yummy! For those of you who enjoy more adventurous libations, try the Walk Before You Fly. Our server told us that it’s one of their most popular drinks and we can certainly see why. 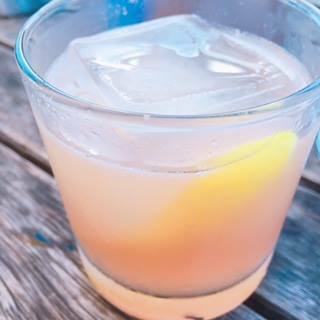 This powerful mixture of gin, lemon, Creme de Framboise and lavender bitters should be savored slowly. The bartender is very generous. Start with a savory appetizer such as the Hummus. This tasty treat isn’t made with chickpeas. Instead, they use things that are local and in season. The main ingredient on our visit was field peas. They were combined with green garlic, robust olive oil and charred onion and topped with a smattering of feta cheese. 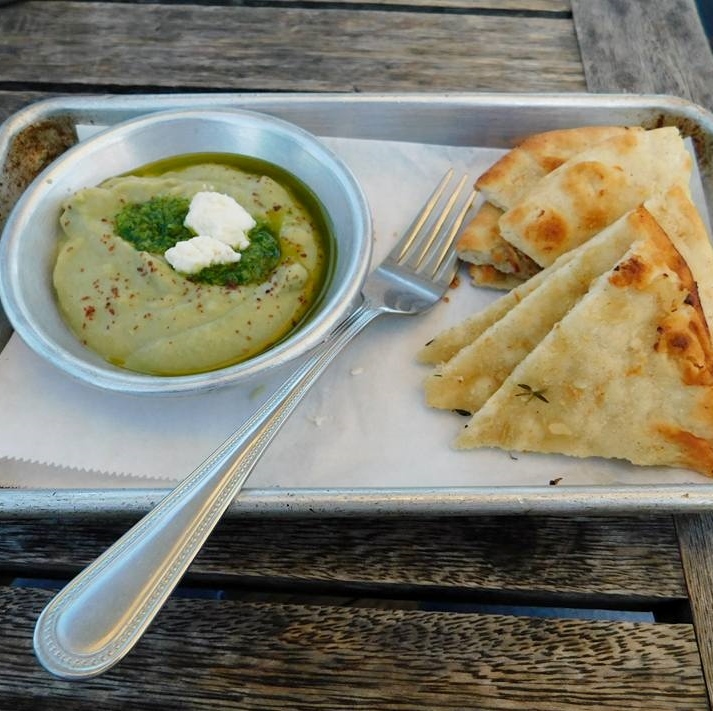 Served with warm, buttered pita. Careful, or you’ll eat the entire serving before you know it and we know you want to save room for your entree. The appetizer section of the menu contains such a nice variety of dishes, that it’s not only possible, but very easy to order a couple of appetizers, instead of an entree, and be perfectly satisfied. Start with the Watermelon Salad. Yes, we know it’s a summertime staple, but not like this one. It was an explosion of sweet (watermelon), salty (feta), tangy (vinaigrette), crunchy (arugula), and a spicy, little kick (tiny bits of jalapeño). The light vinaigrette has a uniquely refreshing, bold flavor. It’s, quite simply, a perfect summer salad. Bonus! It’s gluten-free. It could also be dairy-free if you ask them to hold the feta. Another delicious appetizer is the Crab Cake served on a bed of arugula with a grain mustard remoulade. 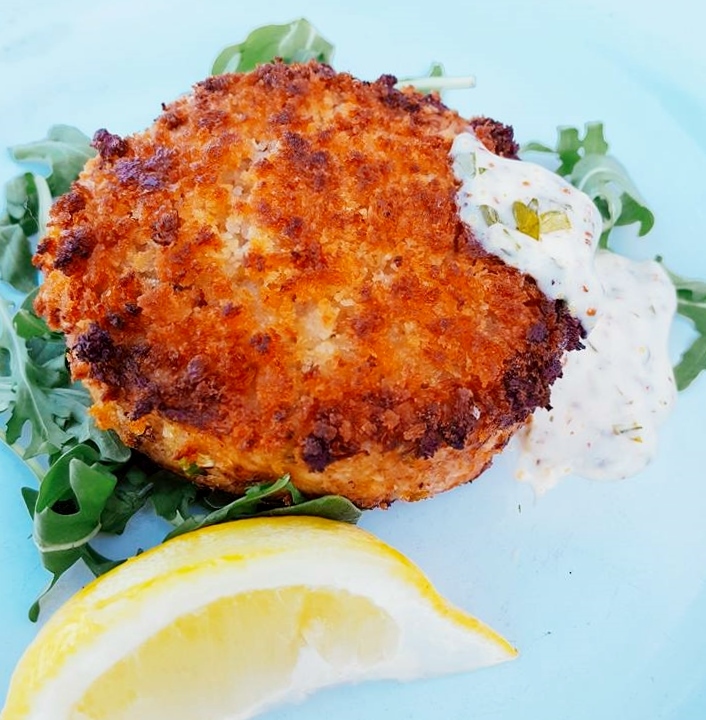 Made with blue crab, celery, onion, Cajun remoulade and lemon, it’s cooked to be crispy on the outside while moist in the center. Notice that we didn’t mention bread crumbs. That’s because it seemed to be at least 95% crab meat. 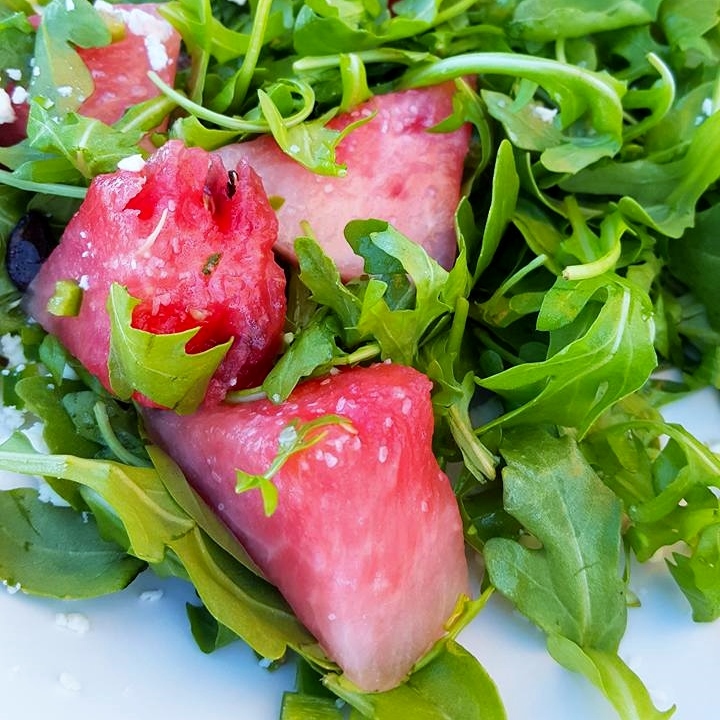 Order the Watermelon Salad to go with this and you’ve got a perfect, light, hot-weather meal. 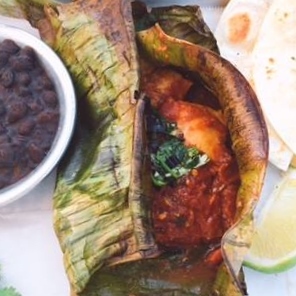 If you’re hungry enough for an entrée, the Steamed Banana Leaf Fish Tacos are delectable. The fish is steamed inside the banana leaf with spicy tomato jam. It’s served with warm tortillas, basil and dill chimichurri sauce, and a bowl of seasoned black beans. The tomato jam is more smoky than spicy. The fish is moist and tender. It’s so good! Assembly required. If you’re counting carbs or you’re looking for something gluten free, it’s still a delicious meal without the tortillas. Please save room for dessert. The Fruit Brûlée was like no other brûlée’ we’ve ever eaten. No eggs were harmed in the making of this brûlée as there is no custard involved. What a clever idea! 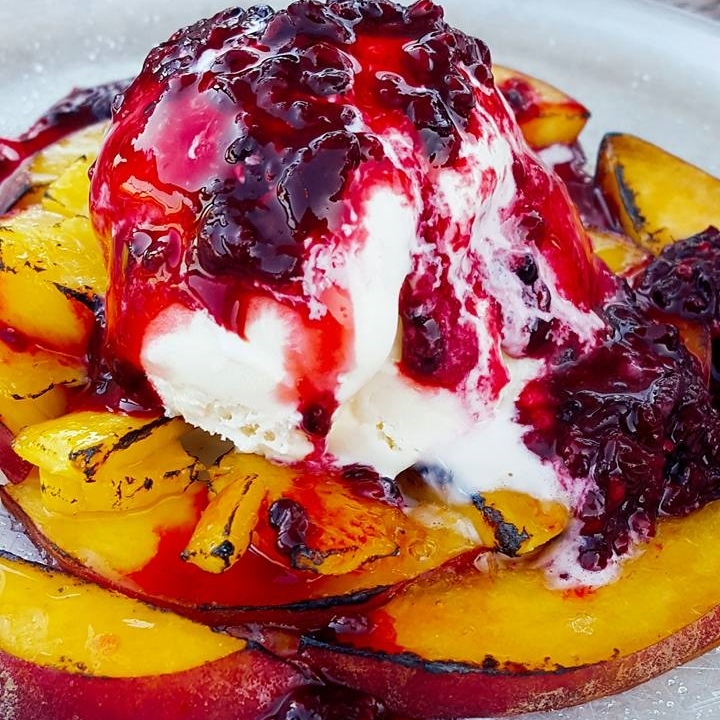 In the height of fresh fruit season, it was simply glazed peaches, pineapple, and blackberries, topped with vanilla ice cream, then garnished with blackberry coulis. This was our favorite dessert, so far. We could eat one right now. Note: If you have food allergies or sensitivities, question every dish before you order. 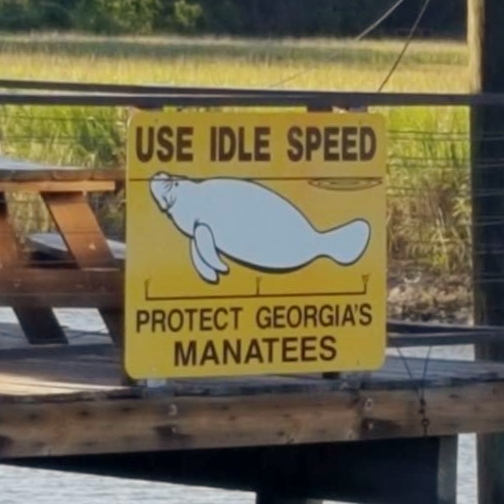 As we were enjoying the scenery, we noticed a sign that read, “Use Idle Speed – protect the manatees”. So, there must be manatees in the area at certain times of the year. The Wyld, 2740 Livingston Avenue, Savannah, GA 31406. Hours: Tuesday – Thursday 5 p.m. – 9 p.m.; Friday 5 p.m. – 10 p.m.; Saturday 12 p.m. – 10 p.m.; Sunday 12 p.m. – 9 p.m.; Closed Monday. Friday Night. 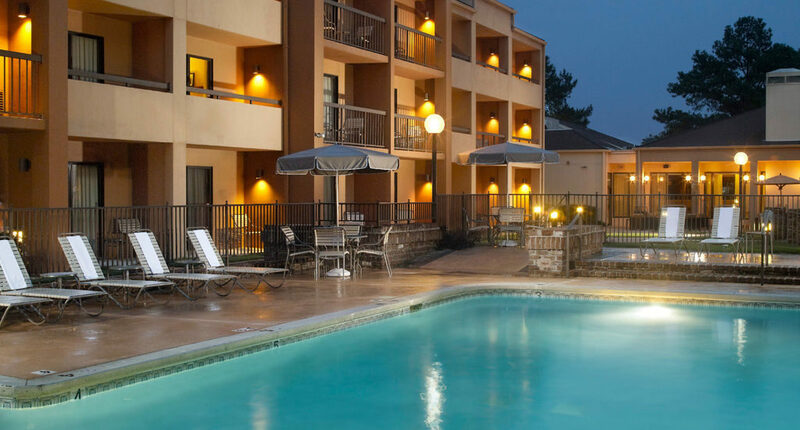 Head back to your hotel for a late-night swim. Whether your hotel pool is indoor or outdoor, there’s nothing so relaxing as time in the water. Get a good night’s sleep. Saturday is going to be a very busy day. Saturday morning. Enjoy breakfast in your hotel. Then head to the River Street District to see one of the busiest ports in the U. S. Wander through the boutiques and antiques shops on Factors Walk before heading down the stairs or elevator to the tourist-packed shops along River Street. 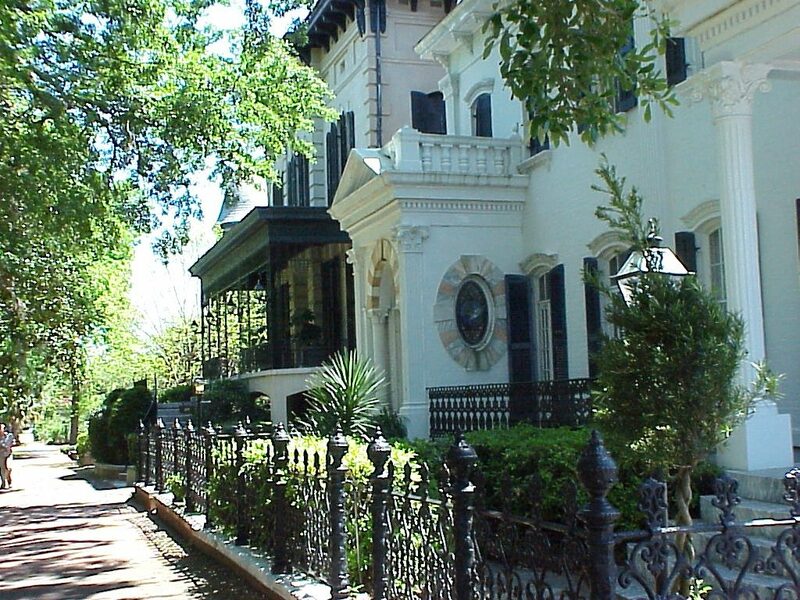 Schedule a historic home tour for the afternoon or just wander around the historic district. Join us next week when we step back in time to a wonderful Savannah landmark for lunch and a great place for shopping! ← Covington? NO. . . . Coving-Wood! You, my dear friends, are awesome – and you make me laugh!!! Another really fun adventure!